Once you have built an opt-in e-mail subscriber database, the next steps are where the work really begins. First, you must ensure a steady flow of additional valid e-mail addresses to make up for those that dissolve over time. Second, you need to communicate frequently with customers in relevant ways in order to build long-term relationships. But how do you measure the value of your opt-in e-mail addresses and ensure that you deliver a relevant communications? Here is some proven advice to lean on. You can use e-mails to build relationships with your customers only if you have a valid permission-based e-mail address for each customer in your database. 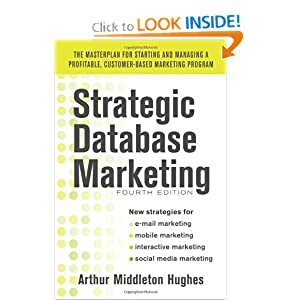 Ask any marketer whose company has a large customer marketing database how many valid e-mail addresses there are in the database. Most marketers don’t know that number off hand. They have to look it up. And when they do, the answer they find is probably wrong. Why? Because today 30% of the e-mail addresses become obsolete during any given year. You are holding on to a leaky bucket that will soon run dry unless you keep filling it up with newly acquired e-mail addresses. How can you do that? The best way to keep the bucket full is to incentivize your staff to get customer e-mail addresses with every contact. When customers buy something in a store or over the phone, the POS system should be set up to receive e-mail addresses that go right into the database. As soon as they arrive, the database sends an e-mail to the customer getting her to “click here” to validate the address and affirm her permission for you to use it. When she does this, the staff member who entered the e-mail should get some sort of a reward or bonus. Once you set up a system like this, your database will become rich with valid permission-based e-mails. This chart tracks the lifetime of one million specific subscribers during their three years with your company. It cost you $17.00 to acquire each subscriber. There are other subscribers or customers who arrived before or came since, but they do not show up on this chart. As you can see, only half of the subscribers are still reachable in the third year – and many of them never bought anything. But from the ones who did, there were significant profits. The lifetime value chart tells you that each opt-in permission-based e-mail address is worth about $85, which means that your database is worth about $85 million dollars. It will be worth that, however, only if you use it to contact your customers and build long-term profitable relationships. But where to start? A transaction e-mail (e.g., “Your order was just shipped”) is the ideal conversational message to build a relationship with your customers. These e-mails have very high open rates (often as high as 90%) compared with promotional e-mails (which are hovering at 15%). Since they are opened and read, these messages are the place to put suggestions for future purchases; suggestions that are related to the particular customer and to what she has previously bought. In many companies, transaction e-mails are sent from the shipping department which is not equipped to use HTML or to reply to customer e-mails. Get busy. Make sure that all your transactional e-mails go through your e-mail marketing team or your e-mail service provider (ESP) before they are dispatched, so that they can be in HTML and contain relevant personalized offers and content. Have you taken a plane lately? If you look around, you will notice that many – perhaps half – of the passengers arrive with boarding passes already printed out on their home computers. What does that tell you? That the airline is sending e-mails to passengers before their flights, encouraging them to check-in in advance. What is the advantage to the flyer? He can pick his seat and does not have to wait in line for the boarding pass machines. He can go directly to security as soon as he gets to the airport – saving five, ten or fifteen minutes. It is a great idea that saves travelers and the airline time. Airlines also save. They save real money when passengers check in online from home, from paper costs to personnel. US Airways offered 1000 bonus miles to anyone who checks in online. The airlines would really like to see everyone start doing this routinely. Sending travelers e-mails on the day of departure to get them to check in early is an excellent way of using your database to build relationships. Compare this with arriving at the airport only to find a fifteen minute wait to get checked in. Your company is not an airline. So how can you use your database to provide similar helpful reminders or goodwill messages? Did your customer send a gift to Sally Warren at this time last year? It may have been her birthday. Send your customer a reminder that a year ago she sent a present to Sally Warren. Remind her of what it was (she has forgotten). It will do no harm, and could produce an immediate sale. Since the Internet arrived, we have discovered something important. We can send customers messages at practically no cost at all. For example, after any transaction, you can send an e-mail asking customers to rate the product or service they received. When they respond, you put them in your database and on your website, under the product listing – and in each e-mail which mentions this particular product. What is the advantage of that? People read these reviews. 83.8% of respondents to a Marketing Sherpa 2007 survey said they would trust user reviews over a critic. So, in your database you know who bought what and when. Send them an e-mail asking them to rate the product, the service, or the ordering and delivery process. You will end up selling more products, and building better customer relationships. E-mail marketing, particularly in a recession, is the most cost effective way of reaching customers to keep their loyalty, attention, and continued business. Devote some serious attention to how your e-mail programs are organized – and what you are doing with them. It can be highly profitable.